Nothing says freedom like a purple one piece. 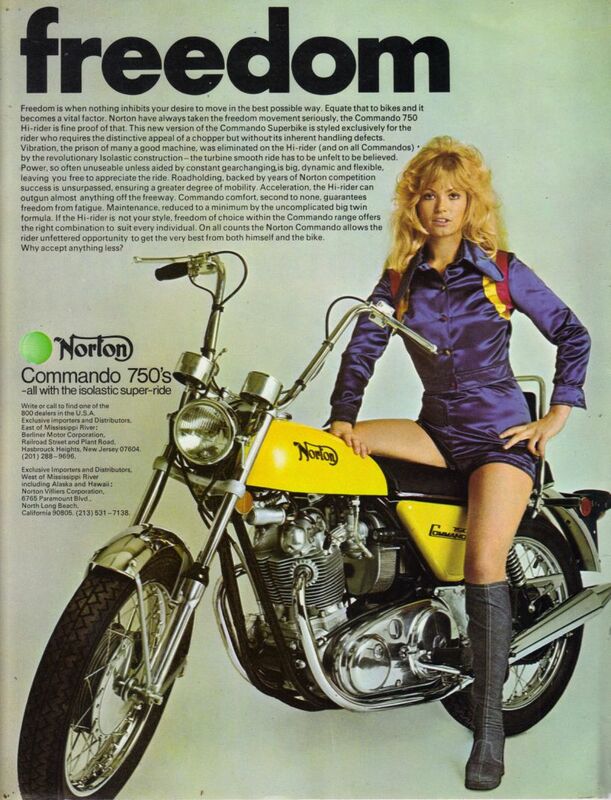 I love the opening line in this vintage Norton Commando print ad. “Freedom is when nothing inhibits your desire to move in the best possible way” (just like this one piece inhibits her ability to access the toilet quickly). But seriously, this Norton Commando was specifically tricked out for the American chopper market (check out those bars). Unfortunately and predictably it wasn’t the greatest hit. Was always going to be a tough sell convincing guys that have Harley Davidson tattoos to change bikes.